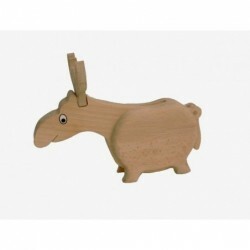 The wooden box in the shape of a hippo. 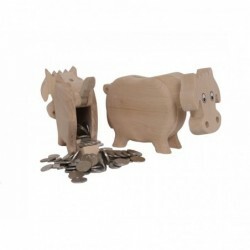 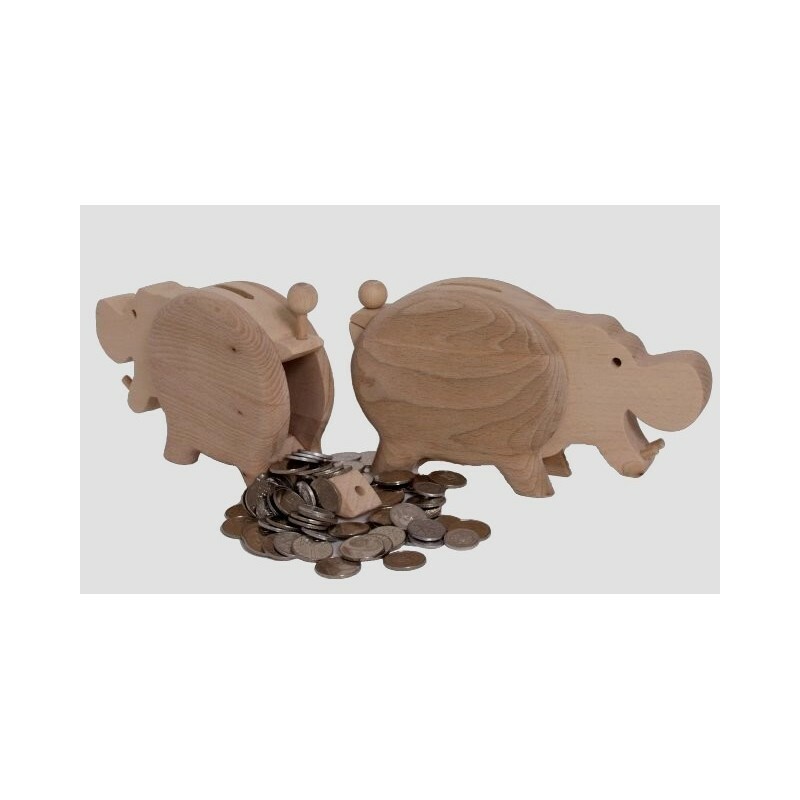 On the back of the hippo is a whole for throwing a coin into the money box. 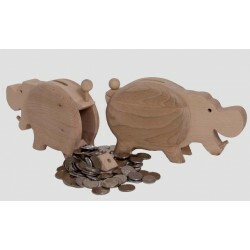 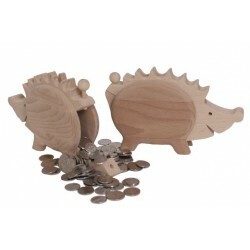 After puting up the small ball on the hippo's back, the back part opens and the coins will spill. 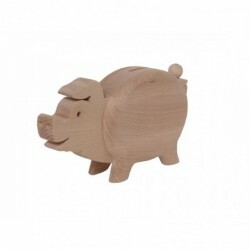 Size: 10,5H x 18,5W x 4,2D (cm).